Let Me Go screens October 3rd at the Ohio City Film Festival. When: Sat., Oct. 3, 3 p.m.-12 a.m.
A fractured narrative builds toward an impending confrontation as a haunted young woman realizes the specter of guilt has taken up residence in her home, bringing to the fore a terrible secret known only to her husband. Through a surrealist daydream, the past, the search for truth, and the process of healing are met with the transcendent intercessor of music. Sound becomes touch and music, a catalyst for forgiveness. Read all about the film and the unique behind the scenes collaboration with Kate Tucker and the Sons of Sweden’s Shape Color Feel project. Let me go has been nominated for four awards from The Indie Gathering for Best of Ohio. They are: director, Adam Smalley, cinematographer, Miriam Bennett and Zach Betonte, Actor, Jose Infante and actress, Dianna Sherman. Congratulations to all! The band celebrated the release of the video for “Mason Jars” last night where the video was premiered on the big screen alongside indie film “Let Me Go” at Akron’s The Nightlight to two capacity screenings. The video, produced by Cory Sheldon, Miriam Bennett and Melissa Olson evokes a warm and ethereal nostalgia that fits perfectly hand in hand with the tone of the the song itself. ”Mason Jars” is the second single from the bands debut EP which was produced by Jim Stewart. 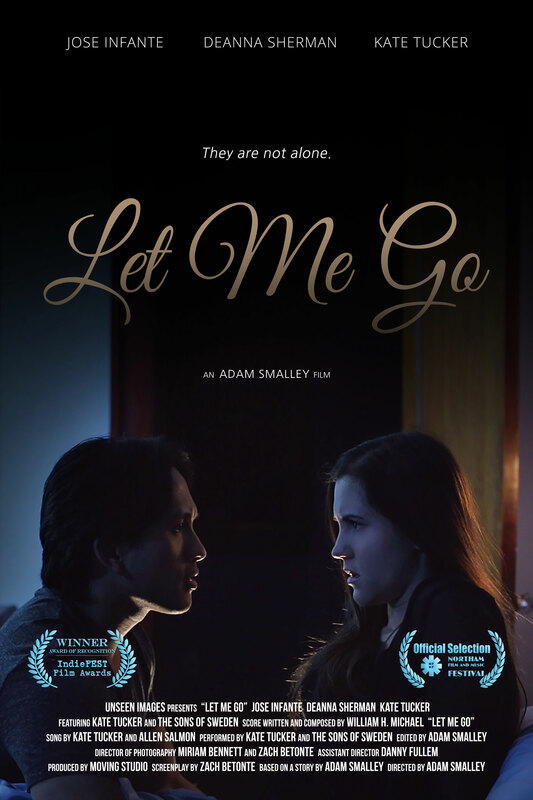 Moving Studio Productions presents the Akron debut of the short film, Let Me Go, directed by Adam Smalley featuring Deanna Sherman and Jose Infante with music from Kate Tucker and the Sons of Sweden. We’ll also be premiering the new music video by By Light We Loom directed by Cory Sheldon. Tickets available online and at The Nightlight. Exclusive: We are excited to announce that the 8pm theatrical audience will be treated to special, live, in-theater, performances by By Light We Loom and Kate Tucker. All ticket-holders are invited to join the filmmakers and musical artists for a VIP reception in the lounge following the screenings. New music video premiere in Cleveland Scene Magazine featuring Kate Tucker and the Sons of Sweden and scenes from the short film, Let Me Go directed by Adam Smalley presented by Moving Studio Productions. Can’t wait to see my friend Kate Tucker live Musica on Friday night. And of course looking forward to the Let Me Go Film Premiere at Nightlight Cinema + By Light We Loom Music Video Premiere Monday, June 15th at The Nightlight Cinema!!! Spent a fun-filled Saturday working with Director, Cory Sheldon again, this time as his DP and doing some art department as well on the new video for By Light We Loom. The duo’s new EP release party will by May 1st at Happy Dog in Cleveland. New Featurette on Tri-C Jazz Fest Cleveland and “A Great Day in Cleveland” edited by Adam Smalley. We are pleased to present this featurette on Tri-C JazzFest Cleveland and the Great Day in Cleveland produced by Terri Pontremolli, directed and edited by Adam Smalley. This window into the Jazz community of Cleveland and the history of Jazz in the city was created in part by Tri-C Media Arts & Filmmaking student filmmakers who were privileged to film with some amazing Jazz luminaries at the historic and beautiful Palace Theatre (Cleveland, Ohio) during the Great Day in Cleveland. Jonathan Wayne and his Tri-C photography students produced the group portrait of all the Cleveland Jazz artists who converged on the Palace Theatre for A Great Day in Cleveland. Special thanks to Media Arts and Filmmaking at Tri-C (MARS/VCDV) Portfolio and Cinematography 1 students who came in to film A Great Day In Cleveland and to Cigdem Slankard our Associate Producer, to Director Miriam Bennett (Moving Studio Productions) who directed the Great Day in Cleveland segments along with Assistant Director Cory Michael Sheldon. Both Bennett and Sheldon are also Tri-C faculty members in Media Arts and Filmmaking. 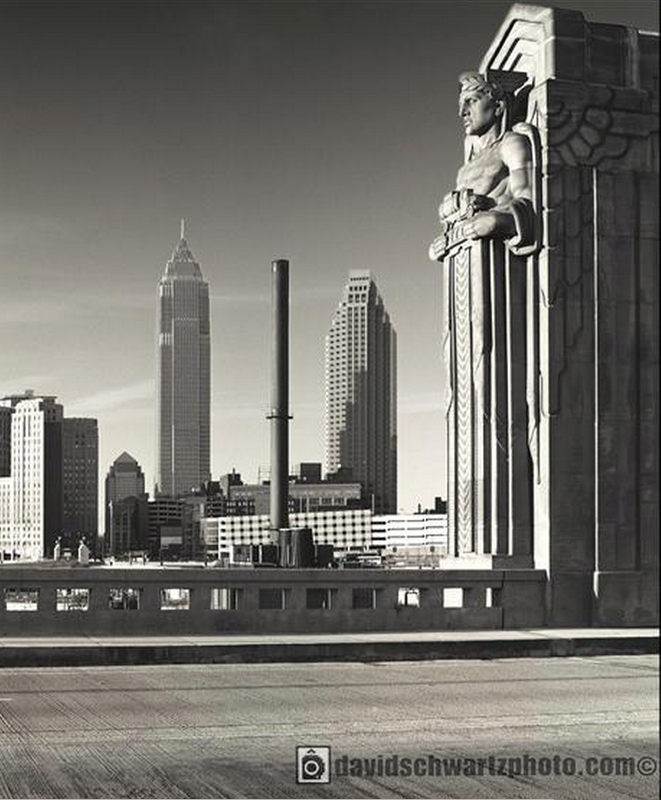 Tri-C Alum, Jose Infante crafted amazing individual photographic portraits of the artists, some of which we hope to unveil at Private Screening 2015 on May 1st!